In November, archeologists in Peru working on a cemetery dig contained within Lima’s zoo discovered not only human remains, but also the remains of 137 dogs, estimated to be approximately 900 years old. The dogs had been carefully laid beside their human counterparts to accompany them into the afterlife. Archeologists suggest the animals were buried with their owners as part of a ritualistic ceremony. The dogs were of a variety of ages and health conditions, some showing distinct signs of disease, but were buried with special offerings like vegetable rope and reeds. 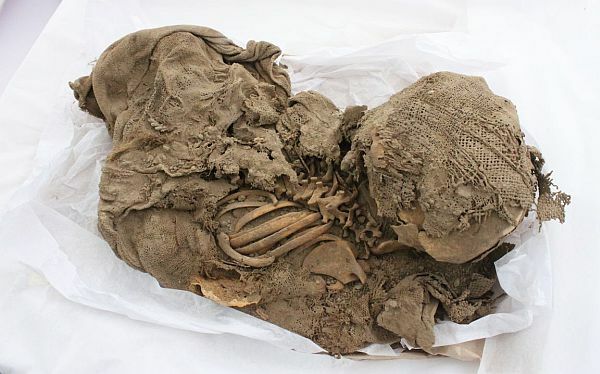 The current estimate of dating the burial is based on the development of the cultural use of vegetable rope between the second and sixth centuries, but carbon dating will be used to more precisely date the remains. Much like the way ancient Egyptians honoured their cats, this act of ritualistic burial is seen as the early Peruvians’ way of honouring their beloved dogs. Most of the dogs were wrapped in cloth bundles, often called mummy bundles, and were laid in the graves in various resting positions. Peruvian archeologists are currently raising funds to continue their research in an effort to develop a more accurate interpretation of their culture.